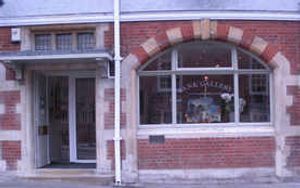 This Contemporary Fine & Applied Art Gallery is situated in an old bank property in a prominent position in Chobham High Street which lends itself perfectly to exhibition space. Chobham is a picturesque village in Surrey with individual specialist shops, pub, restaurants, wine bar/coffee shop and a beautiful old church, making it a desirable place to visit. 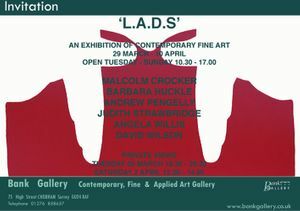 The Gallery is run as a co operative with up to 21 members, each member taking their turn to have a two week exhibition. 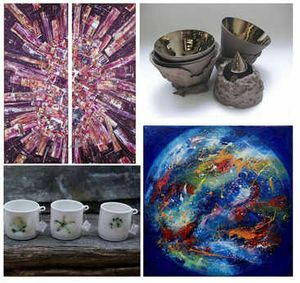 There is an exciting exhibition programme which includes paintings, ceramics, textiles, jewellery, wood and sculptures so every two weeks the gallery has a new and exciting look - and you will get the chance meet and talk to the artist.